Oh my gosh, have I have a major senior moment!! As I was writing about all the activities that the Silly Hats and Caps have been up to, I realized that I had totally forgotten to tell about our very first event! Silly Hats & Caps was created around April of last year. We had started meeting every Tuesday morning for breakfast and we had been talking about what we might be able to do to help spread awareness of Diabetes, the need for a cure and how we could bring more people with diabetes together (as you know, there is strength in numbers!). One morning I got a phone call from my girlfriend and she asked me if I had seen the latest GROUPON offer! I hadn’t, but I went to my computer and opened it while I was on the phone with her and there it was! 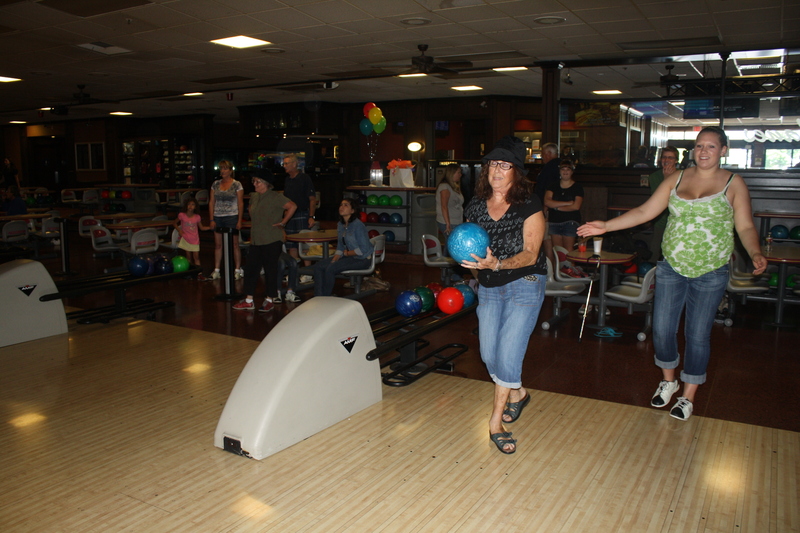 A great opportunity for a low cost get together, a 2 for 1 bowling package and a really great deal. So each of us 3 original Silly Hat & Caps couples, bought 2 groupons and we were on off and running! From the very beginning of our family’s “D Journey” the name of our family walk team has been “Strike Out Diabetes”. Strike out as in baseball, but hey…it works for bowling too! Our local chapter shared the details of our event in their newsletter and posted it on facebook and we, of course, shared the date with our friends and family. 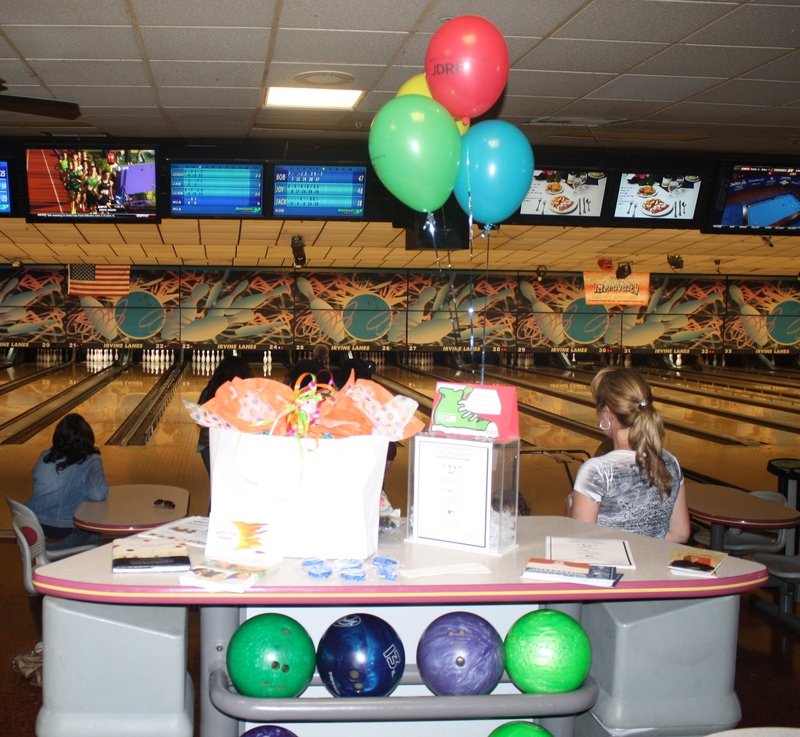 The day finally came…we took our groupons, our helium balloons, some JDRF literature and off to the bowling alley we went! 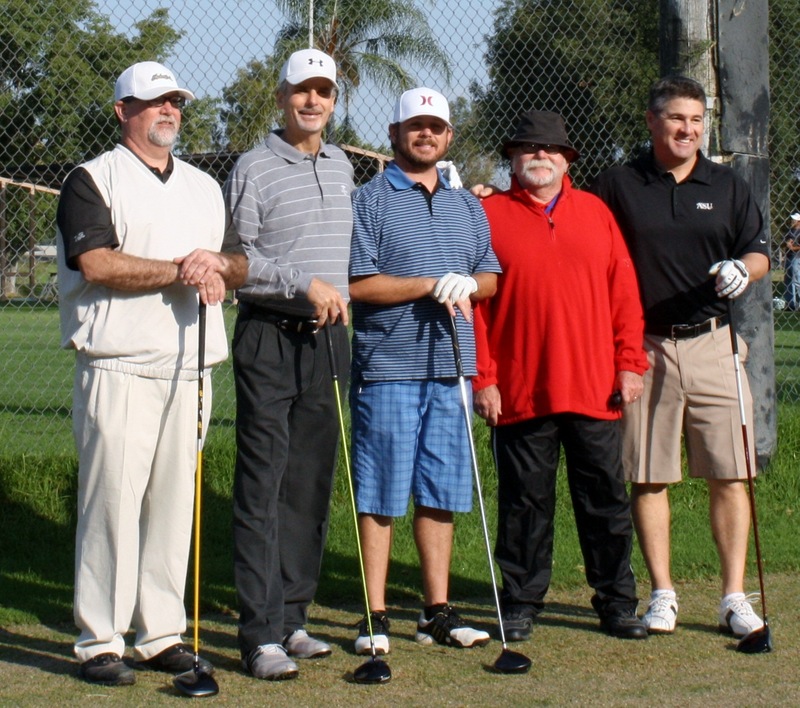 I’m sorry to say we didn’t have one person other than our 3 families show up for the event…but boy did we have fun! All three of us Silly Hats & Caps couples had 3 generations represented!! How very cool is that!! Us grandparents, our children and our grandchildren had a blast! And in addition to that, what made it all worthwhile???? 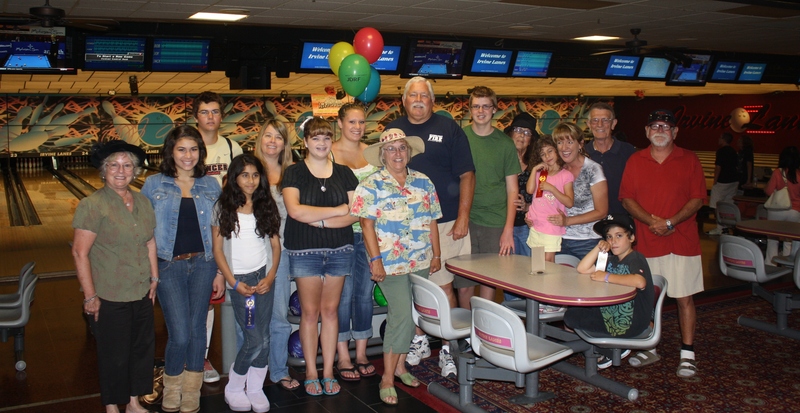 We’d been bowling about 20 minutes and a man had seen our JDRF balloons and came over to ask about our group. He approached my daughter in law and said “I saw the balloons..you’re with JDRF? 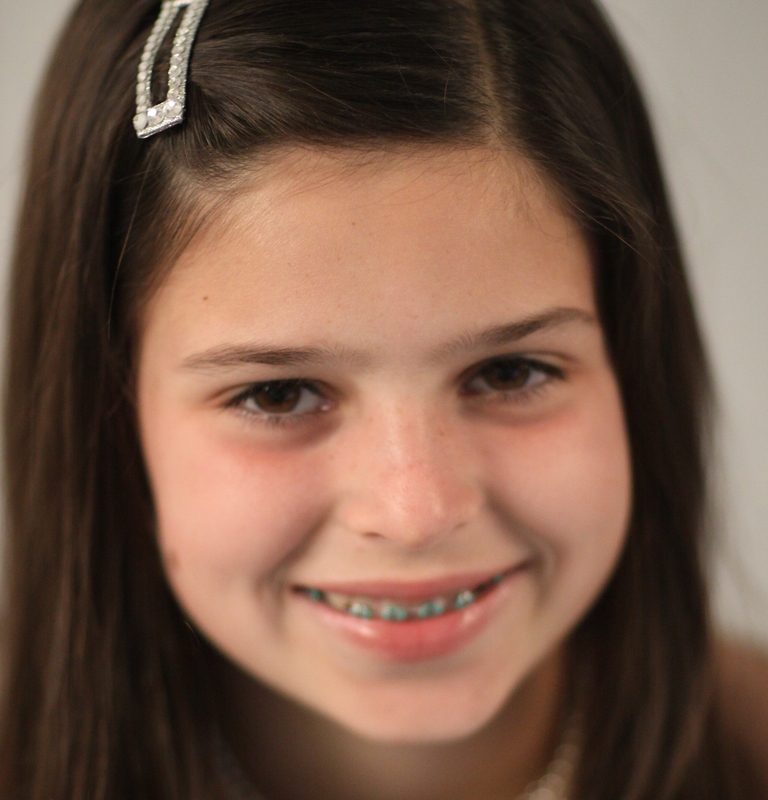 We’re having my son’s birthday party here…my son has Type 1 .” That was her opening for further dialogue!! She introduced herself to him and his wife, met the birthday boy and shared with them, her story of living with a child with Type 1 Diabetes. Robby met them as well, and told the family how diabetes has not held him back from doing anything he wants, including playing college baseball at a division 1 school! 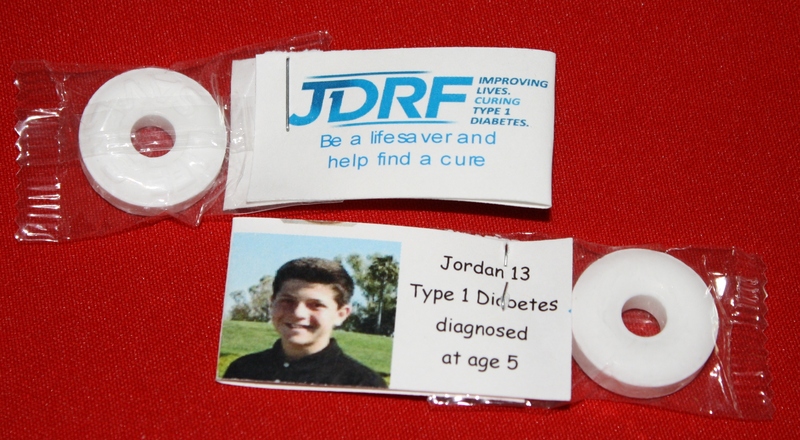 He and his mom also told them what an important role JDRF has played in our lives since his “D”iagnosis! Our first official event and we were able to achieve our goal…Have fun while laughing, chatting and helping spread awareness of Diabetes and the need for a cure! And in addition, we were able to introduce another family to JDRF!! 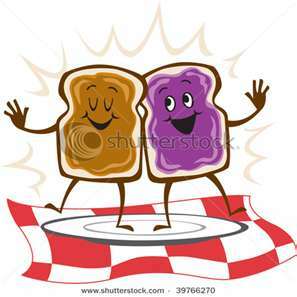 How Peanut Butter and Jelly are helping T1D!! 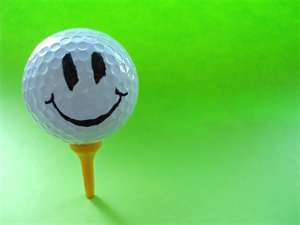 Let me start by saying…My husband loves playing GOLF!! However, golf is not a cheap game to play! 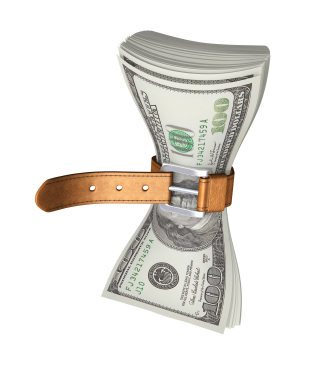 Most of the courses, at least around us, are way out of our budget. But there are a few less expensive, smaller, older courses around…so in order to do what he loves..he swings his clubs at one of those courses, almost every Wednesday morning! Because he loves golf in any form, and because JDRF and the research they fund is our best hope for our grandson’s cure, he and his golf buddy and fellow Silly Hat & Cap member have volunteered to work at the JDRF’s annual Golf Tournament for several years! 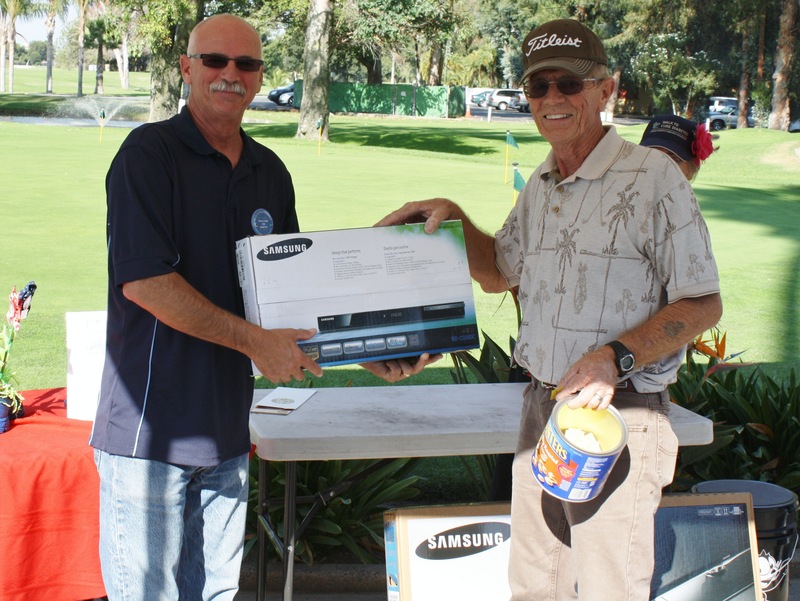 The JDRF Golf Tournament is always held at a beautiful county club, draws lots of players, includes incredible auction items, and brings in lots of money! They volunteer not only to help a great cause, but also because they love the ambiance of these courses and playing in the tournament is a little out of their price range! We also called on a few of our friends and were able to get a Flat Screen TV, Blue Ray DVD Player and other smaller items donated for a raffle! The PP&J tournament was scheduled for October 26 and thanks to our incredibly amazing friends, even though my husband Bob, was unable to help (he had unplanned surgery to remove a brain tumor September 6) it came together beautifully. The golf course gave us a good price and provided the sack lunches for a low cost as well. 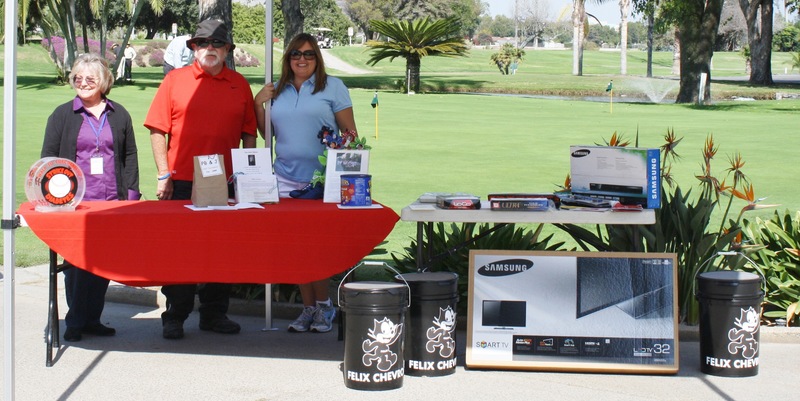 We ended up with 9 foursomes and ALL of the golfers bought tickets for the raffle in addition to paying their entry fee! Friends and family came early the morning of the tournament and helped set up and check everyone in. 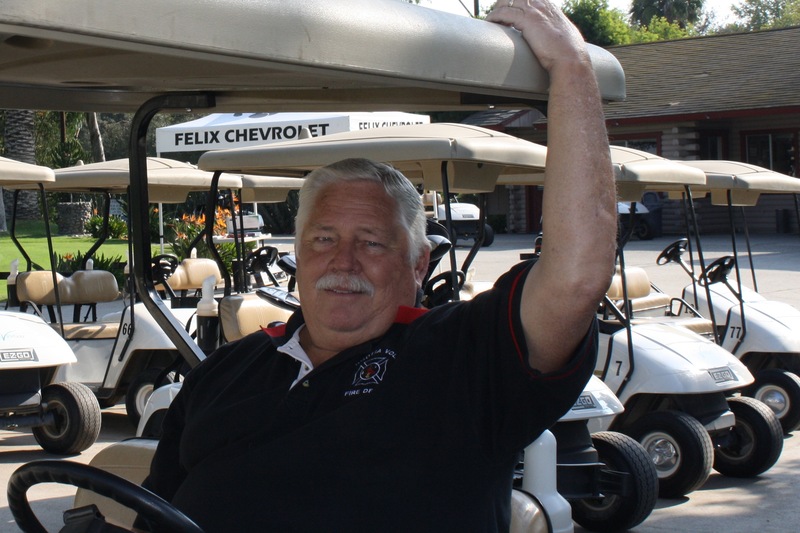 One of our friends, who doesn’t golf, acted as Bob’s driver and drove him around the course so that even though he couldn’t swing his clubs (doctor’s orders), he could still feel a part of the event! The tournament went off without a hitch! The weather was beautiful! Everyone had a great time and they all asked us to make sure we invite them to next year’s tournament! And best of all, we made money while doing something we enjoyed and were able to give a nice check to JDRF, which made all the effort we put into the tournament totally worthwhile! We started Silly Hats & Caps with 3 of us girls and our husbands and if we wanted to grow, we needed to figure out a way to reach out and tell others about us and our advocacy! We knew we would have to hold a fun event that would be free to attend and offer a chance for others to get involved by introducing them to Silly Hats & Caps and JDRF! One of the girls had been to the garden party of a local Orange County artist who makes beautiful quilted wall hangings http://www.bbquiltscapes.com/. She told the rest of us about the fun she had attending this party and we decided to meet with the artist and see if she would be willing to show her quilts at our party and allow us to copy of few of her fabulous ideas on hosting a garden party! 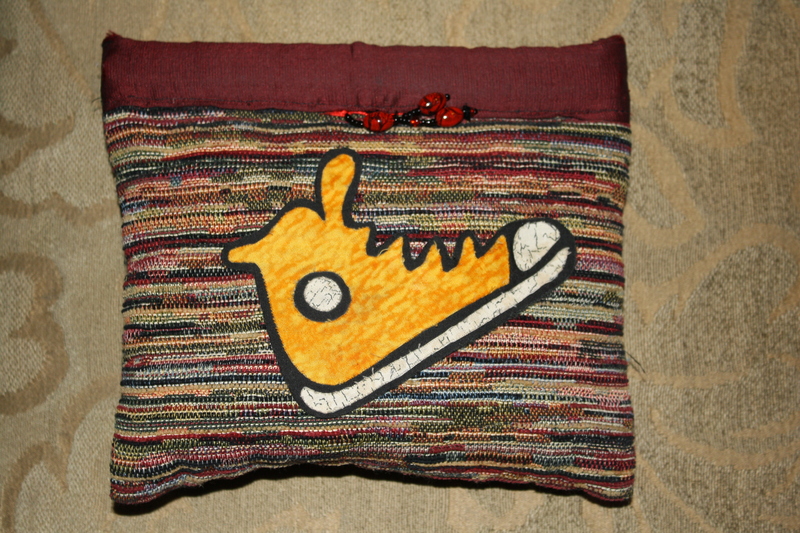 She not only agreed to show her quilts and let us use all of her ideas, she made up some neat snap clutch bags with the shape of a JDRF Walk Shoe on the outside and offered to donate a portion of all of her proceeds to JDRF as well! One of my daughter-in-law’s friends that she has known since elementary school has a beautiful home and yard and offered to let us use it for our garden party! We were up and running! In order to keep admission free, we decided to ask everyone to bring their favorite dish and make it a pot luck! We would provide the drinks and desserts! So on a beautiful Saturday afternoon in September, we held our First Annual Silly Hats Garden Party! Hats were not mandatory but we offered an assortment anyone who cared to wear one! We had a Reflexologist and a Massage Therapist offering their services for $1 a minute! and over 40 friends enjoying the food, drink and company of each other! Some of our friends even donated raffle items and not only were we able to introduce a new Type 1 family to JDRF at this event, we raised a little money to help with the cure! Two years ago this February I was asked to be our local chapter’s Advocacy Team Leader. At the time, I had no idea what that entailed, but I knew it was an honor to be asked and I made a promise to do whatever I could to help find a cure for my grandson..so the answer was a no-brainer “Yes”! 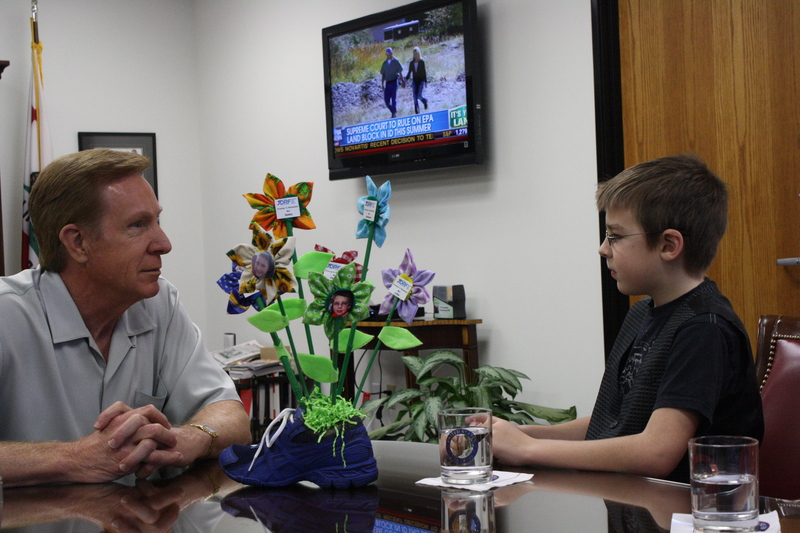 It was the middle of JDRF’s Promise to Remember Me Campaign and part of my responsibility was to schedule the “Promise” meetings with our congressmen. I was able to schedule and meet with 2 of our congressmen. I was so nervous, but both of those meetings were also attended by a few long time JDRF advocates who helped relieve my apprehension a little. We shared our stories of living with diabetes, asked them to approve the upcoming Special Diabetes Program, thanked them and the meeting was “in the books”. A month later I went to Washington DC as Orange County’s representative for JDRF’s Government Day! One of the first people I met was a young mom from Central California. She told me about the great “Promise” meeting she had with her Congressman and she told me something else that really stuck with me. During that meeting, her young son gave his congressman a package of Tic Tac’s and explained to him that those are what he has to eat when his blood sugar is low and he gets shaky! It was a visual reminder for the congressman to remember him! Thank you Promise Co-Chair Laurie DeSchryver for sharing that story with me!! For this Promise Campaign I realized we needed to help all of those voting on our behalf REMEMBER US after our meetings as well! 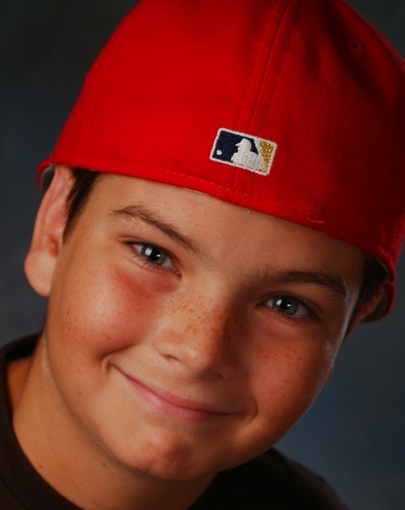 My grandson Robby, and the reason for my passion, is now away at college and knowing that he would not be able to attend our Promise Meeting with his congressman. I wanted to make sure that Congressman Campbell remembered him when he went back to DC and cast his votes so…. 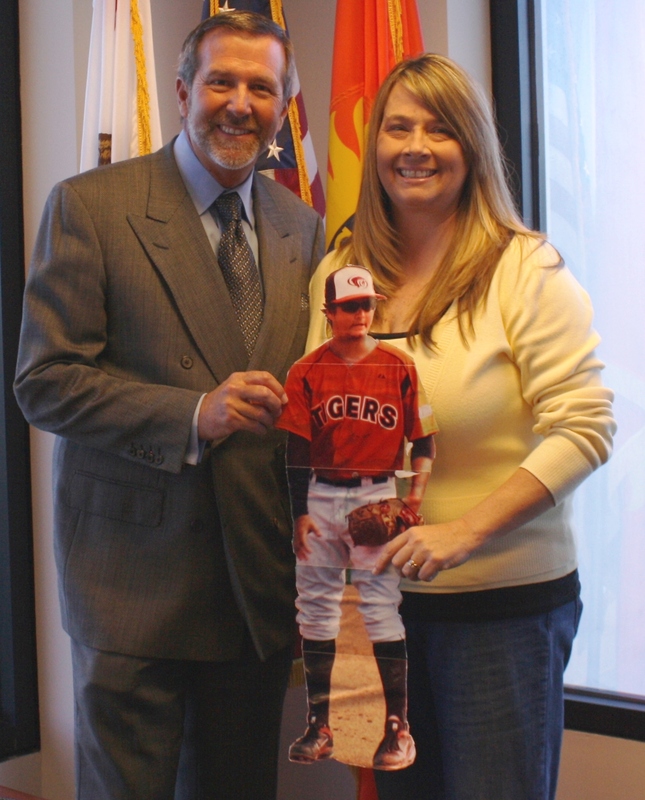 Flat Robby and his mom went to the Promise Meeting! We have taken Flat Robby to 3 Promise meetings now and he has been a big hit at each one! (Oh, and thanks again Laurie for bringing your Flat Grandma to Government Day last year, another inspiration )! we came up with several “leave behind” ideas that we now use and I have been asked to share them with you!! And simply ask them to remember on the back! 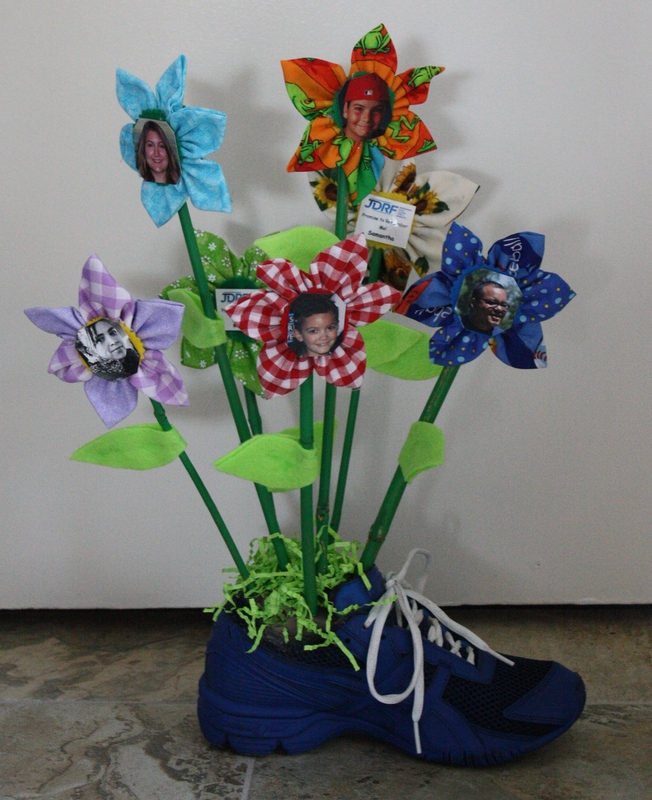 We use a sneaker as the vase, to remind them of JDRF’s Walk to Cure Diabetes! We have one of the children carry the bouquet and start the meeting by giving it to their congressman. It helps break the ice and get the conversation started! I always ask the children attending the meeting if they would like share how they manage their diabetes with the congressman (show off their pump, test their blood sugar, etc). That too seems to really grab the “members” attention and is a GREAT OPPORTUNITY to teach someone else more about diabetes! Once the kids have broken the ice for the rest of us….the adults share their stories of how diabetes has affected their lives…as a person with Type 1, as a parent, as a grandparent etc. At one of our meetings one of the mom’s emptied her purse on the table to show ALL OF THE SUPPLIES she had to carry 24/7 to manage her daughter’s diabetes and have on hand just “in case”! We always check ahead of time to see if the member is on the Diabetes Caucus, or if they signed the FDA letter, or if they voted for the SDP, etc. and thank them for doing so. If we have an “ask” we explain what we are asking of them and we leave a packet of informational material that JDRF has made available. In that packet I always include a page that my grandson wrote the year after he was diagnosed..
Each year over 13,000 children are diagnosed with diabetes in the U.S. That’s 35 children each and every day! Diabetes remains a leading cause of heart disease, stroke, blindness, kidney disease and amputations. My daughter-in-law came up with another awesome “leave behind” that we started using for our walk team, but are now using with Promise and other activities as well. attach a picture of someone in our chapter living with T1d and simply say.. These “Promise” meetings are so important to help put a face to Type 1 Diabetes. If we can influence even one congressman’s feelings toward diabetes, it could mean the difference in the approval of funding of millions of dollars towards research. The meetings last no more than 15 to 20 minutes and if we can leave something with them that will continue to remind them what we’ve taught them in that short time….we truly are making a difference!